The Chop House Restaurant in Dublin offers the locality fine food at very reasonable prices in a comfortable pub environment.The menu offers diversity but the main focus is worked around traditional French cuisine with inspiration also taken from Japan and across Asia. The Chop House is located at Shelbourne Road, Ballsbridge, Dublin 4. 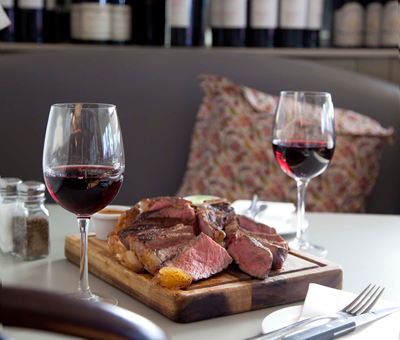 The place is one of favourite spots for meals and drinks in Ballsbridge. The Chop House food is delicious and locally sourced ingredients. 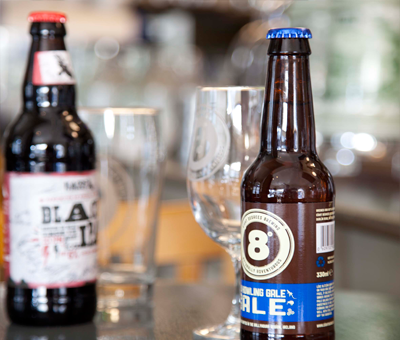 It also offers a nice selection of craft beers and ciders to accompany the food. The place offers a new food concept within a Dublin 4 pub and their focus is to produce high quality dishes using the best of Irish produce as the main ingredient is Irish Meat. Our modern and stylish bar The Artichoke room offers our customers a bright open space to host party events. As we are only a short walking distance away from Dublin's prominent Aviva stadium, therfore Artichoke room plays host to a number of corporate functions operating around the many fixtures taking place in the stadium next door to The Chop House. Rugby matches, Football matches, Concerts, there is no other Restaurant/Bar closer to the Aviva. The Chop House offers great selections of food as they are served fresh and we are sure that you will not be disappointed. For Restaurants and function room booking please fill out the Reservations Form provided. Our great customers have been quick to appreciate the level of food and quality of service within the pub style setting. We also offer freshly baked breads and desserts on a daily basis. Come dine in our restaurant and enjoy the exciting Beef Club event as well. It is a members based event held quarterly in The Chop House.